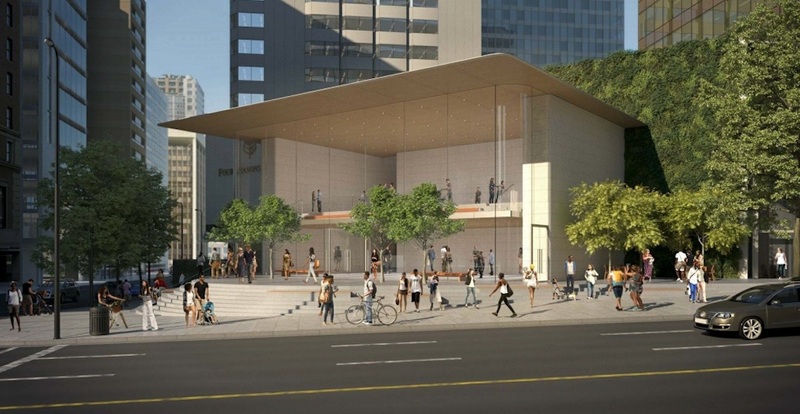 After nearly 15 years of being on the hunt for an appropriate, highly-central location, it appears Apple has finally found a flagship store location for downtown Vancouver. 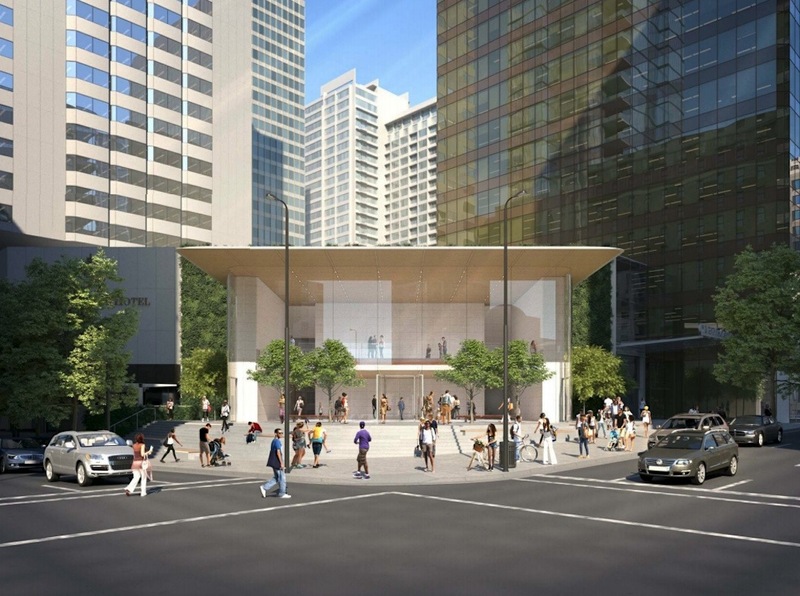 Apple has been searching for an appropriate Apple Store flagship location in the city since the mid-2000s, and it is known to have seriously considered sites along Robson Street. 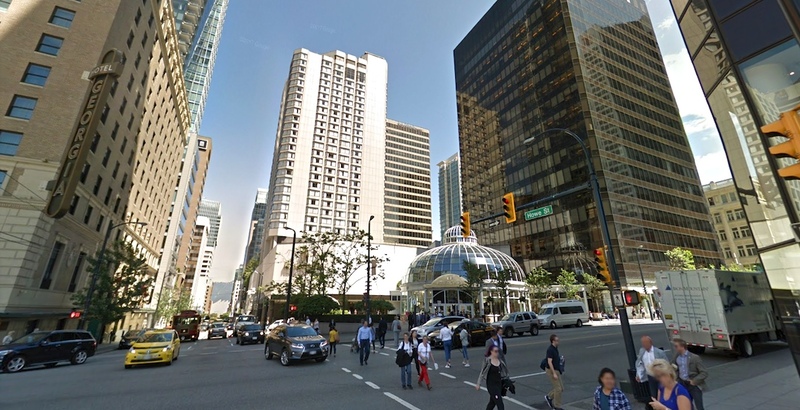 Opinion: What will happen to the Four Seasons Vancouver hotel after it closes? 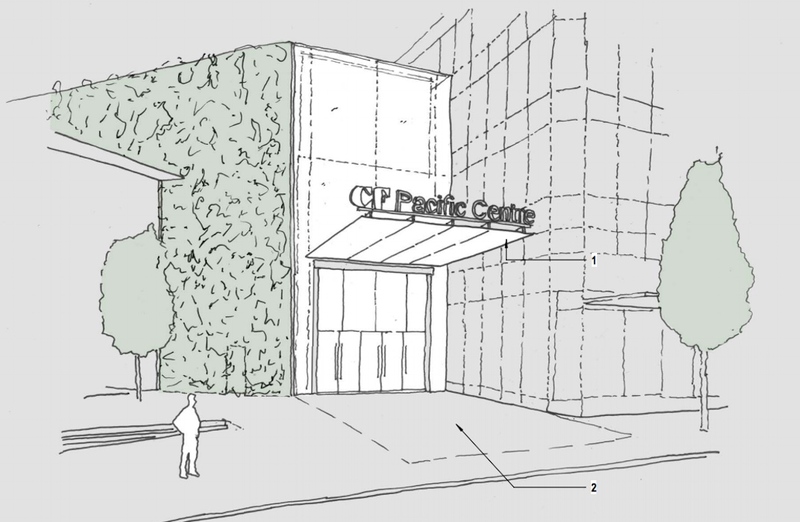 A development application recently submitted by Perkins + Will Architects on behalf of Cadillac Fairview outlines a proposal to redevelop the CF Pacific Centre rotunda entrance building — the northeast corner of the intersection of West Georgia Street and Howe Street — into a new two-storey retail pavilion building. An official announcement at this location has not been made by the company, but all signs lead to this being the long-sought Apple Store Vancouver flagship. It is expected this new store will replace the existing store inside the shopping mall, which has been one of Apple’s best-performing stores since the location’s opening in 2008. 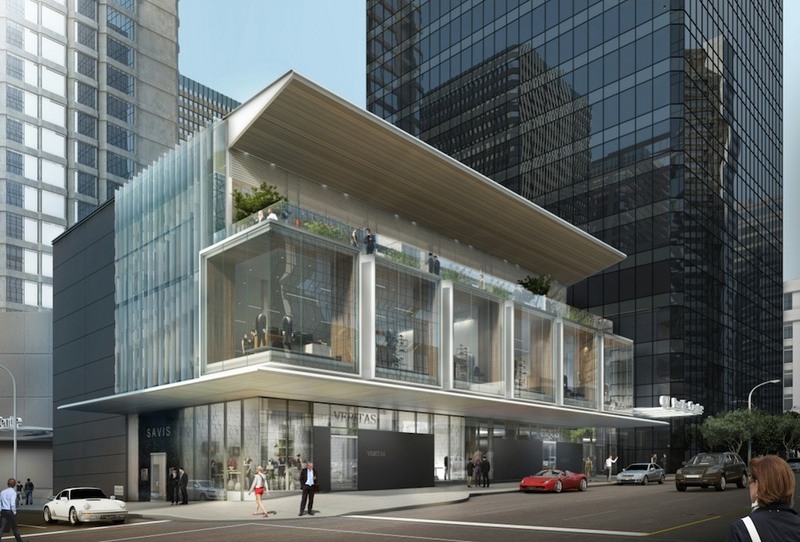 All of the design elements, materials, and the overall form and aesthetic of the proposal are entirely consistent with other Apple Store flagship locations elsewhere in the world — particularly the newer Apple Store flagship designs, such as the recently opened Apple Michigan Avenue in Chicago. Simply put, the similarities are uncanny. 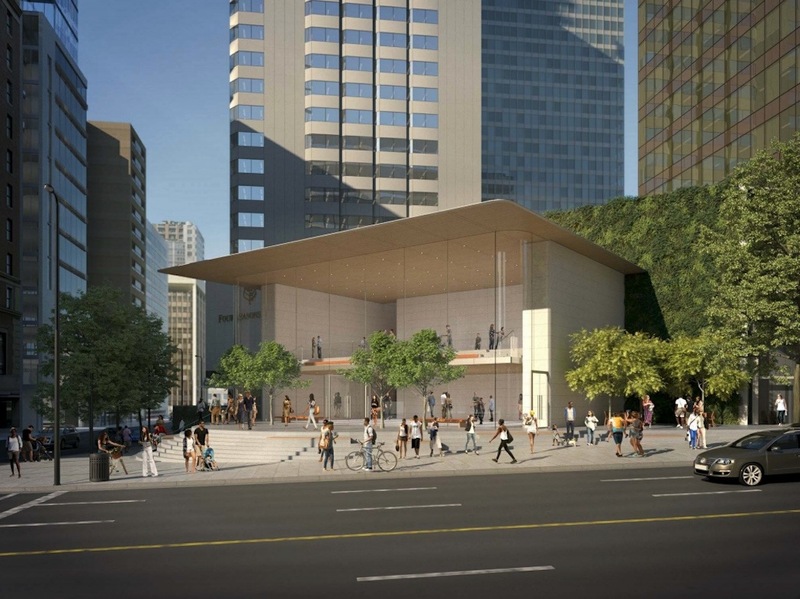 There will be a double-height glass facade and a sweeping, metal cantilevered roof, with the building rotated on a 45-degree axis to diagonally orient the structure to face the Vancouver Art Gallery’s recently renovated North Plaza. “The project works to strengthen and frame the connection to the square – while reproviding and enhancing the public space surrounding the building,” reads the architect’s design rationale. High-quality materials for the building’s exterior include warm grey limestone cladding, robust granite paving, wood soffits, low-iron glass, and metal-panel roofing. The open, pillarless interior features stone walls, wood ceilings, and bench seating along the length of the windows of the second level. Late last month, Apple announced a plan to revamp its global retail store strategy by upgrading and creating new brick-and-mortar locations that serve as a meeting place for the local community. This includes the addition of a so-called ‘The Forum’ space — an area of the store with a large video wall and seating, thus increasing ‘Today at Apple’ sessions and capacity. 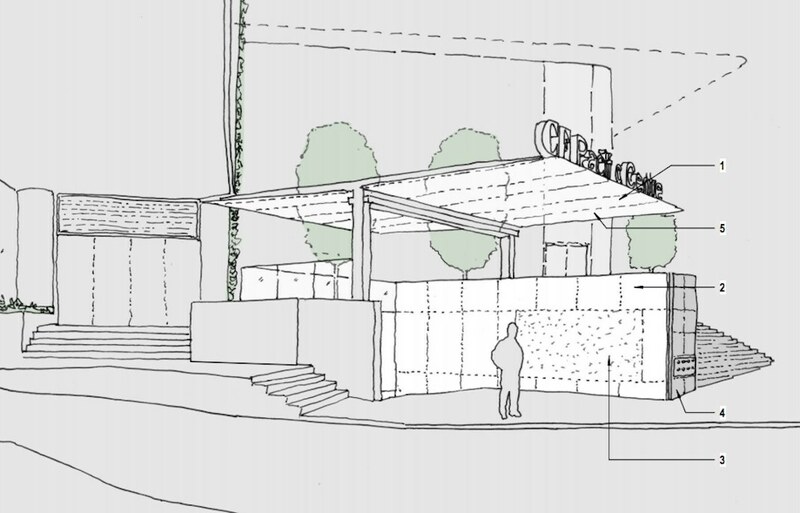 The proposal also features an outdoor public plaza space highlighted by a cascading stair plinth, new trees, and movable tables and chairs. 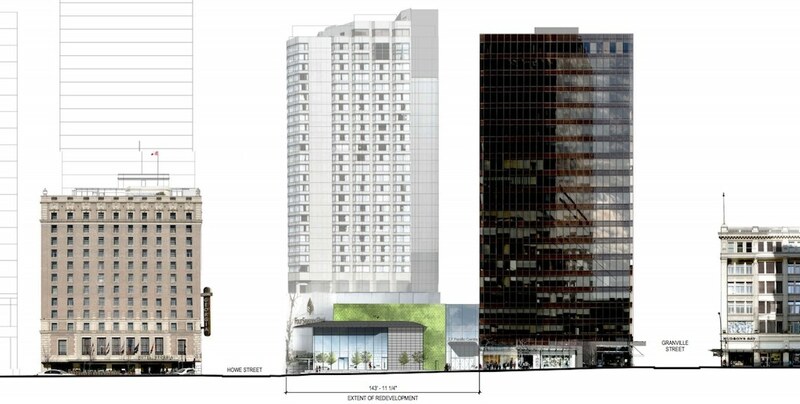 This expansion and extension of the existing shopping centre will include a new replacement entrance into the shopping centre from West Georgia Street, with the new glass entrance wedged between the new green wall and the 701 West Georgia Street office tower. As well, a secondary entrance into the Apple Store is located on the northeast corner of the building, providing direct access from the indoor shopping mall. An opportunity allows for a small retail unit next to this entrance. 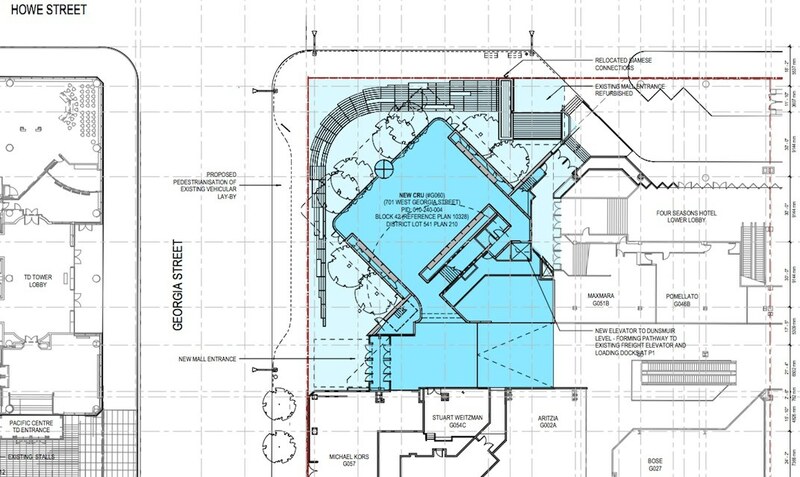 Improvements will also be made to the shopping centre’s existing entrance on Howe Street, located on the northeast corner of the development site. This entrance connects to the main underground mall level, leading to Purdy’s Chocolates. Daily Hive reached out to Apple and Cadillac Fairview, but did not receive a response in time for publication. Last month, there were also reports that the Apple store at CF Toronto Eaton Centre, another Cadillac Fairview property, would soon be relocating to a much-larger unit within the downtown Toronto shopping centre. Overall, the project is striving for a LEED Gold ‘core and shell’ green building certification. This latest proposal for the site is a significant departure from the 2016-approved design of a three-storey, 35,000-sq-ft building, with retail space within the first two levels and a restaurant on the third level. 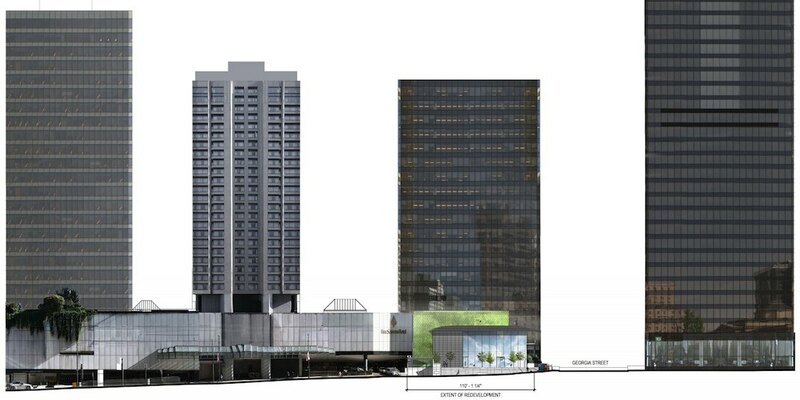 Changes are also likely in the future for the adjacent Four Season Hotel Vancouver property, which is expected to see a major retrofit after the hotel chain shuts down its operations at the Cadillac Fairview-owned space in 2020.